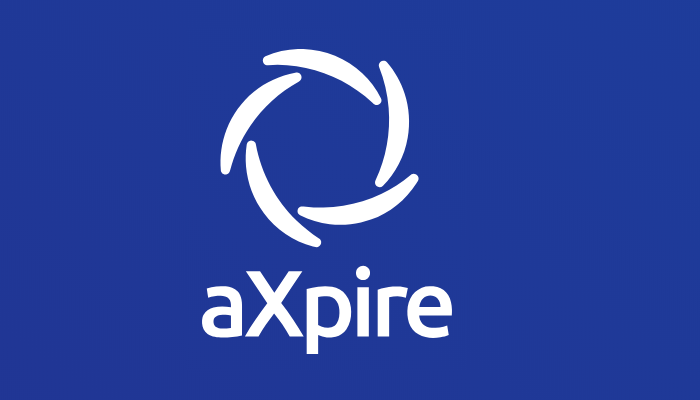 aXpire CEO On Why Asset Managers are Turning to Blockchain Solutions. Asset managers today have their hands full. From client administration to regulatory compliance, there’s a slew of tasks, communication, and paperwork that comes with the job. Thankfully, the industry is starting to embrace, implement, and reap the benefits that blockchain innovation is making possible. In doing so, they are saving invaluable time and resources. Over the past decade or so, many firms and funds have begun implementing various cloud-based, Software-as-a-Service (SaaS) based solutions. Unfortunately, these solutions quickly became clunky systems that rarely had all the functionality asset managers needed to handle the complex data, compliance, spend management and operations they engage with regularly. While SaaS solutions did serve to digitize paper documents and automate manual processes, blockchain solutions hold much greater promise in terms of becoming a more holistic technology solution for the many functions that asset managers need to perform. The Blockchain promises a much better way to manage regulatory compliance. By making the whatever existing compliance solutions and processes a fund has more interoperable, the blockchain helps keep regulatory compliance functional across all systems, platforms, departments, and workgroups. Asset managers are already working with regulators to establish how the blockchain will function in compliance, to make life easier for everyone involved. Another huge headache for asset managers is the matter of cost allocation and spend management. Working with multiple vendors and internal departments makes distributing the right costs to the right expense centers often confusing and time-consuming for funds of all shapes and sizes. Think of all the stakeholders normally involved in the spend management process: Legal, Compliance, Accounting, Administration, and Finance. Markham shares how blockchain helps solve this problem, “When the blockchain is combined with artificial intelligence (AI) technology, the spend management process can be greatly streamlined. And as a result of the blockchain’s distributed ledger and transparent nature, errors and inaccuracies are greatly reduced. Blockchain-based solutions also effectively eliminate many of the paper, PDF, and spreadsheet (PPS) documents and processes normally associated with the spend management process.” These are some of the biggest reasons asset managers are turning to blockchain solutions today. Although SaaS-based solutions have been a step forward in terms of technology and innovation in the asset management space, data is still stored on a third party server that could still be potentially hacked by malicious actors or cybercriminals. With all the benefits that the blockchain promises to provide to asset managers in the upcoming years, some funds have voiced potential concerns. These include the ability to handle large transactional volumes, meeting technology standards, cybersecurity, and legacy system interoperability. While many of these are understandable, the real issue is that the asset management space at large simply hasn’t had the hands-on experience with the blockchain to see why many of these issues will become (if they’re not already) completely moot. Massive cryptocurrency exchanges are already proof that the blockchain can handle large transactional volumes. Blockchain-based solutions for spend management, for example, are already integrating with legacy systems at hedge funds and other institutions to generate cost and time savings. As developers continue to work with the financial industry and regulators, clear standards will begin to emerge that will give asset managers the confidence that blockchain solutions are on par (if not above) their current SaaS solutions in terms of operability, reliability, and security. Asset managers that choose to embrace blockchain to solve headaches associated with outdated processes, interdepartmental collaboration, and regulatory compliance will soon realize how much easier their lives will be, not to mention how much more profitable their funds will become.